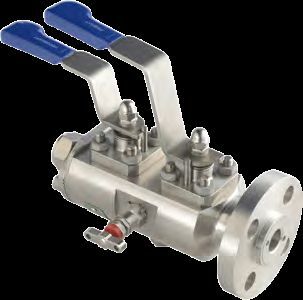 Double Block & Bleed Valve is supplied and exported by us from Singapore. The valve belongs to KVB-03 Series. The body and ball of the ball belongs to ASTM A182 Gr F60/UNS32205. Further, being a leading exporter and supplier, we are capable of handling bulk orders from our clients with an assurance of on time delivery with the desired quality.